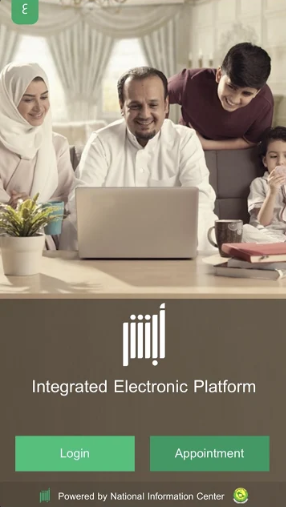 The app gives the male member of the family complete right over the woman as he can track her whereabouts even if she tries to cross international borders. The Saudi law already curbs the rights of women as they are supposed to be under a male guardian, who can exercise control over them. And now the Absher app, the Saudi Arabian app which is listed on both Google and Apple Store, has been criticized by several human rights organizations, for seemingly helping to "enforce gender apartheid" in the country. The app's description on Play Store states, "Absher is the official individuals eServices Mobile Application that provides the services of Absher portal in the Kingdom of Saudi Arabia." Although the app can be sued for multiple purposes, it has in a way promoted men's dominance over women in the country as men can monitor and dictate the travel plans of the women. This very aspect of the app has received immense criticism. Reportedly, the male guardian can dictate and view, with the help of the app, how many journeys the woman makes, how long their trip is scheduled for, which airport they are visiting and more. The app is also quite effective in tracking the movements of women while they are traveling, as it immediately alerts the male guardian as soon as the woman uses her passport. The country has already had several rules that almost destroy women's freedom, and with the app, it has ascertained the dominance of men in the country. Concerns have been raised by both Human Rights Watch and Amnesty International about how Apple and Google could host the app in their stores as it completely discriminates against women. Human Rights Watch researcher Rothna Begum said, "Apple and Google have rules against apps that facilitate threats and harassment. Apps like this one can facilitate human rights abuses, including discrimination against women." She had called out the app store providers "to consider the broader context of the purpose of the app, how it is used in practice, and whether it facilitates serious abuses." "The government could simply remove the guardianship tracking functionality from the app and continue to offer the rest of the functionality, just not services that facilitate abuses." Amnesty International researcher Dana Ahmed asked the two tech giants to "assess the risk of human rights abuses and mitigate the harm that these apps may have on women. This is another example of how the Saudi Arabian government has produced tools to limit women's freedoms." The app was already criticized when the message alerts were made compulsory in 2012 when Saudi author and journalist Badriya al-Bishr said, "The authorities are using technology to monitor women. This is the technology used to serve backwardness in order to keep women imprisoned." While it is still not known how many times the app has been downloaded in Apple Store but at the time of publication, it has 536 ratings giving it an overall score of 3.9 out of 5. On Google Play, the Android version of the app is reported to have been downloaded over a million times and has been given over 27 thousand ratings with an even higher average of 4.6 out of 5.